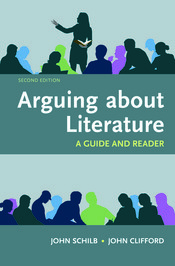 Supplement A Brief Guide to Arguing about Literature: A Guide and Reader with content from the Bedford Select custom database. Bedford Select makes it easy to augment your Bedford/St. Martin's textbook with additional readings. Choose from more than 800 essays, stories, poems, plays, images, and instructional materials in the Bedford Select database—and build an affordable supplementary text for your students. To find out more, visit macmillanlearning/select.